I recently had a client ask me the easiest way to automatically send his WordPress blog entries to his various Facebook pages. I have found a solution that I think might be of benefit to others as well. 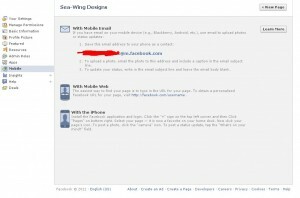 Problem: Automatically post to WordPress blog and to several Facebook pages at the same time. This method no longer works. I now recommend using IFTTT. 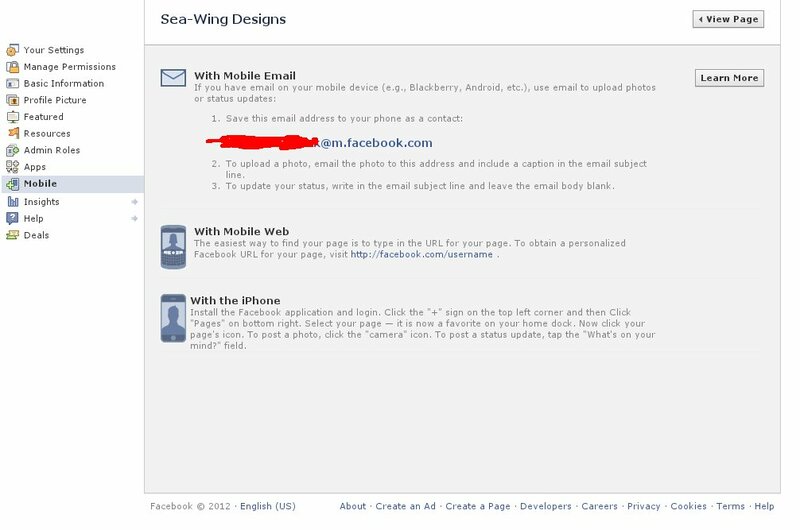 WP Email-to-Facebook is a simple plugin that works with post categories and the Facebook “secret” mobile email. Here are the instructions for setting it up. Install the plugin to your self hosted wordpress website via the ‘add new’ plugin page. Once you do that your secret email address will be visible. 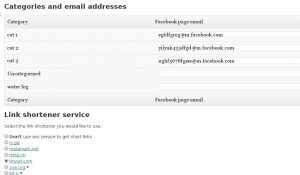 Note: Do not give this email address to anyone unless you are willing to allow them to have total access to your Facebook account. 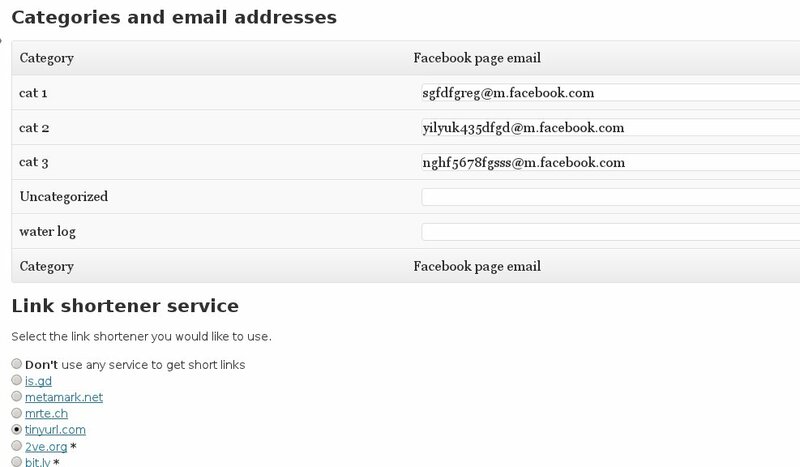 Now all you have to do is assign each email you have collected to a post category. Note: and email can only be assigned to one category. You can now choose an URL shortening service and then click “Update Options” and you are ready to get your message out there! I hope you find this tutorial useful. Please use the comment section bellow to ask questions or offer feedback.